Chelsea are reportedly being favoured to land the signing of Fiorentina youngster Federico Chiesa but Juventus, Man Utd and Napoli are all touted as competition. The 20-year-old enjoyed a productive season for the Viola last year, scoring six goals while providing nine assists in 38 appearances in all competitions. He’s picked up on that form so far this season with a goal and an assist in his first three games as he’ll hope to play a pivotal role in getting the club back into Europe. However, question marks have seemingly been raised over his long-term future in Florence, as The Sun report that Chelsea are ‘leading the race’ to sign him ahead of the likes of Juventus, Man Utd and Napoli, with a price-tag in excess of £63m being touted as required to prise him away. That’s a lot of money for a young player who has yet to prove himself consistently at the highest level, and so at this stage, there is an argument to be made that perhaps he is still a gamble if Chelsea were to wrap up a deal. 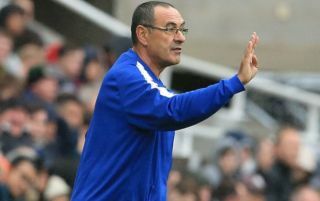 Nevertheless, with Eden Hazard, Pedro and Willian as Sarri’s only real options in the wide positions to support his main striker, the Italian tactician could arguably do with reinforcements in that department, especially if they secure a return to the Champions League next season. Time will tell where Chiesa sees his future, as staying at Fiorentina to develop his game further and play regularly while also having now made his breakthrough for Italy at senior level, could be a sensible decision. In contrast, sealing a big move to a club like Chelsea could help him start to win major honours as soon as possible while furthering his career, but it remains to be seen if Sarri gets his touted target.